Improve your underwater photography by learning from these common mistakes made my new underwater photographers. We've all done it. We get home after a long trip abroad or after a few dives on a local dive boat. We upload our photos, and... *dang it. * "Had I only been closer and spent more time with that *insert awesome subject*, that shot would have been perfect!" Underwater photography is a journey, and every dive provides a chance for us to learn from our mistakes. Here, I share not only a few of the mistakes I've made along the way, but share tips to help remedy the most common mistakes we've observed by new underwater photographers over the years. Firstly, before taking a camera beneath the waves, it is my personal opinion that you have the attributes of a good diver: great buoyancy control, navigation skills, pre-dive planning, and the other aspects you've learned throughout your scuba training. I cannot emphasize this enough. I would have to say that by far the #1 mistake made by new underwater photographers (and seasoned photographers for that matter) is not getting close enough. You've heard it before. Get close, then get closer. There are several good reasons for this. Getting close to your subject minimizes the amount of water you're shooting through, and therefore improves the color, saturation, and contrast of your photos. In addition, your strobes are more effective the closer they are to the subject. 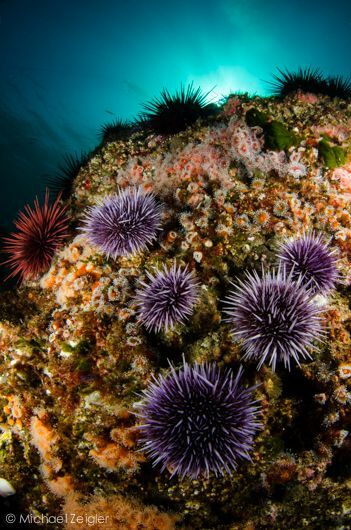 Shooting at 10mm with my Tokina 10-17mm FE, the bottom urchin is about 2 inches from my 6" dome. Getting this close (and moving my strobes in close) allowed me to get the lighting I wanted, and get great color, contrast, and saturation. It's so easy to see a great subject, focus, fire, and move on. This is often referred to as the "happy snappy" approach. The next time you see a subject with great potential (e.g. sitting proudly on the reef, great negative space, cool behavior, etc. ), I would encourage you to take a deep breath, take note of your air supply and remaining bottom time, and take some time shooting the subject. The place where you first see your subject may not be the best place from which to take the best shot. "Work" your subject. When you think you have "the shot," take one more. There's a reason you have a 16GB card in your camera. I saw this cool southern sea palm while at 80fsw. With the sunball high above and lots of fish swimming around nearby, I saw the potential for a "keeper." After getting the ambient and strobe light dialed in, I just waited. This was the tenth, and best, frame. There are few things that separate a decent photo from a great photo more than by shooting up. Getting down at eye level (or lower) with a subject allows the viewer to get a much better sense of connection with the subject. It also, among other things, helps you separate the subject from some of the distracting background environment. Not every subject (read: most) will allow you to get down and shoot up. Be mindful of your surrounding environment when considering to engage a subject. It's often best to move on and search for a subject more suited for shooting up. Tip: Seek out reef heads surrounded by *unoccupied* sand, which will allow you search for subjects higher on the reef, while being able to get down low on the sand and shoot up. 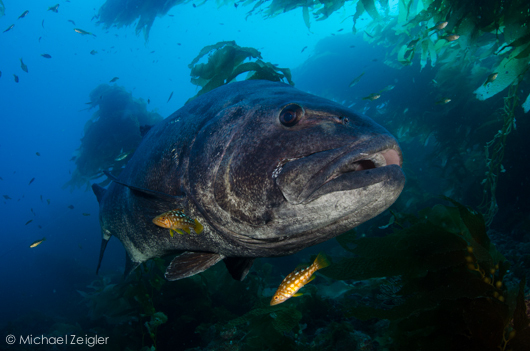 Shooting up at this majestic giant sea bass helps give a sense of scale and connection with the subject. In this case, it may have helped by being a less threatening approach than from above. It's way too easy to set your strobe(s) to one position at the beginning of the dive, and leave them there for the entire dive. 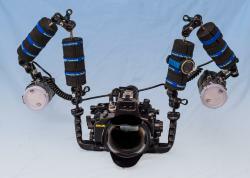 Most, if not all arm systems have adjustable segments that allow for easy movement of the strobes. Take advantage of that, as each subject you encounter will likely benefit from different lighting than the previous subject. 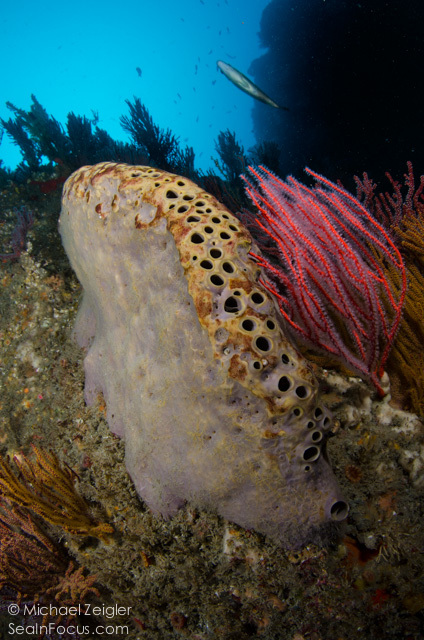 I really wanted to accentuate the holes along the top of this gray moon sponge. Had I left my top strobe in its "standard" location, strobe light would have filled the holes and eliminated the effect I was after. A slight adjustment of the strobe to the side did the trick. No, I don't mean you, I mean your camera's orientation. Just like #4, it's easy to just shoot horizontal photos all day. Ask yourself this question when you're approaching a subject: which camera orientation would best portray this subject/scene? Besides, if you ever have aspirations to get one of your photos on the cover of a magazine, they're all vertical shots! 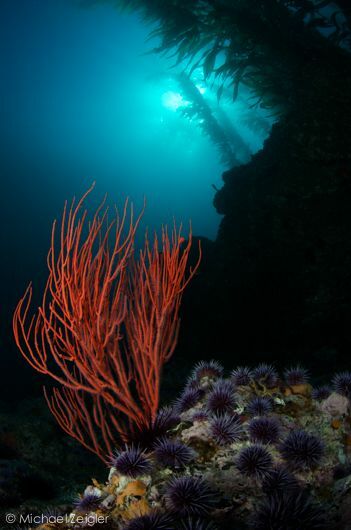 Reef scenes are often best portrayed vertically (portrait), and most often include the surface of the water. 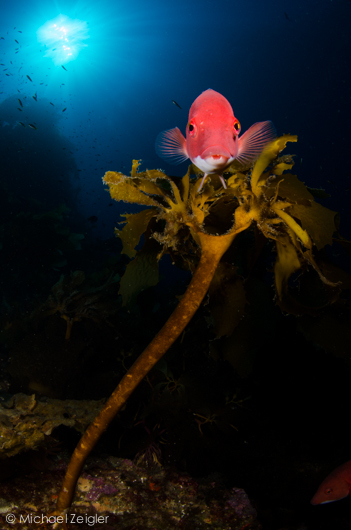 In this case, if I shot this scene horizontally (landscape), I would not have been able to include the towering kelp in background, which leads the viewer's eye to the surface. 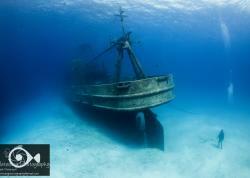 Next time you shoot a wide-angle reef scene, try both ways, and see which you prefer. 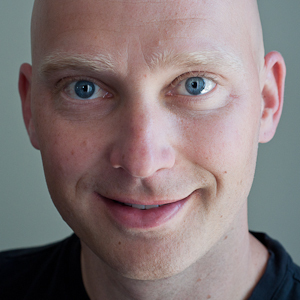 Michael Zeigler is editor-at-large of the Underwater Photography Guide, trip leader and instructor for Bluewater Photo, and is an AAUS Scientific Diver. Michael's underwater photography and blog can be seen at SeaInFocus.com. Join Michael as he leads an amazing underwater photography workshop at the famous Wakatobi Dive Resort 11/21/13 - 12/2/13!